This tiny, lightweight motor first became popular in Europe, especially with competition pilots. It's light weight and low fuel burn for the power produced made it perfect for competition pilots and everyone else. It can get over 100 lbs of thrust with a 48" prop. 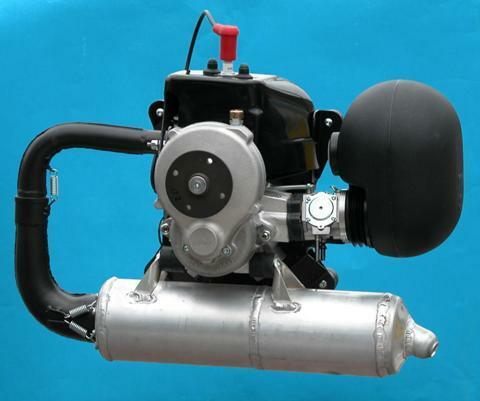 Miniplane, the builder, was first to put it on their paramotor frame but soon began selling the engine to others. This is probably the most impressive motor for the amount of power delivered per pound of weight. It enjoys US support (link above) and a loyal following.